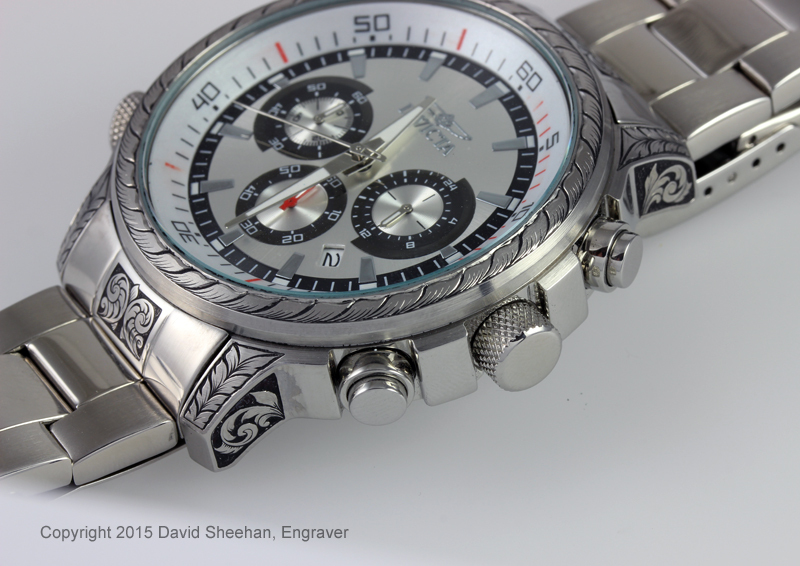 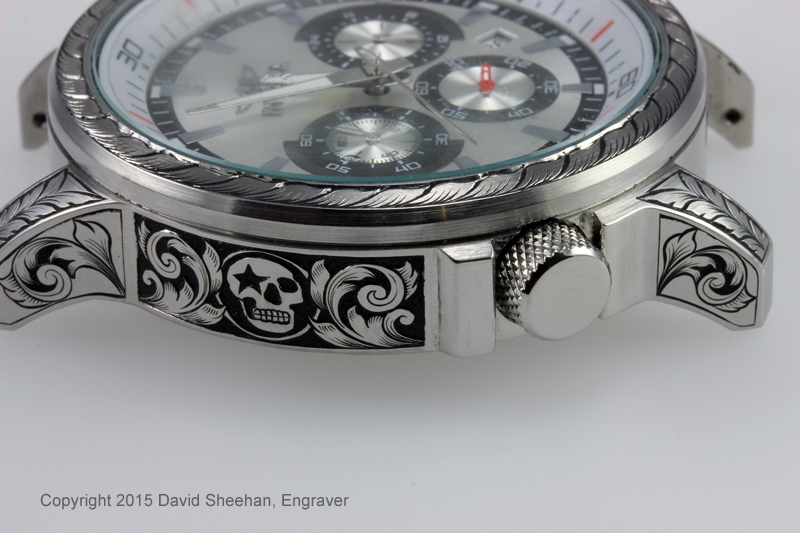 Hand Engraved Watch – Stellar Corpse style! 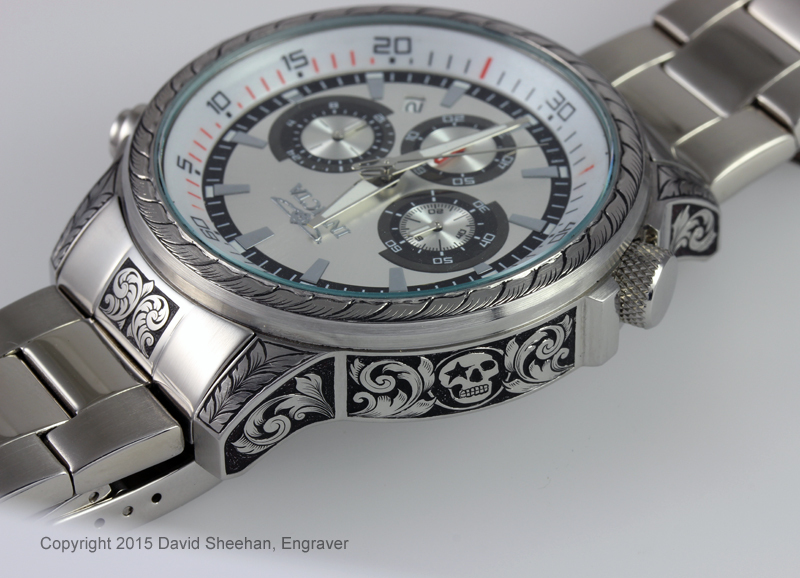 The skull in the design on this watch was patterned after the logo in my son’s rock band. 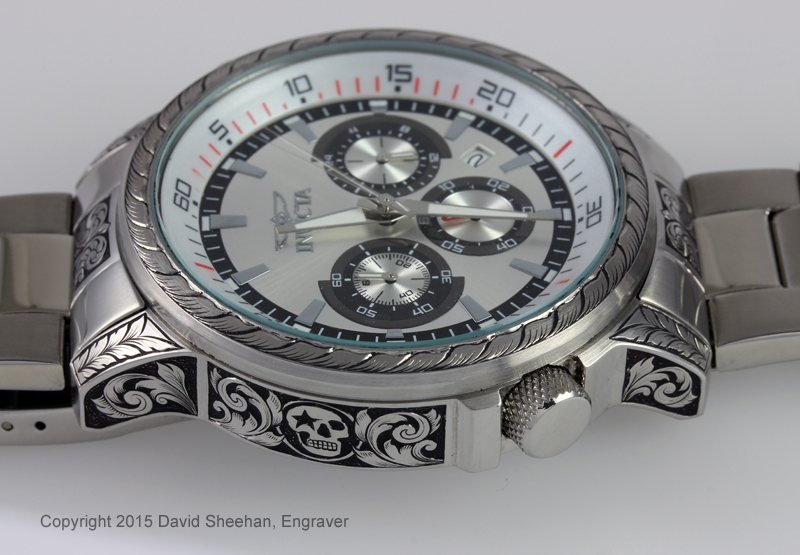 This is a 316 Stainless Steel watch case with running leaf design hand engraved around the top and then deep relief scroll work on each side of the skull. 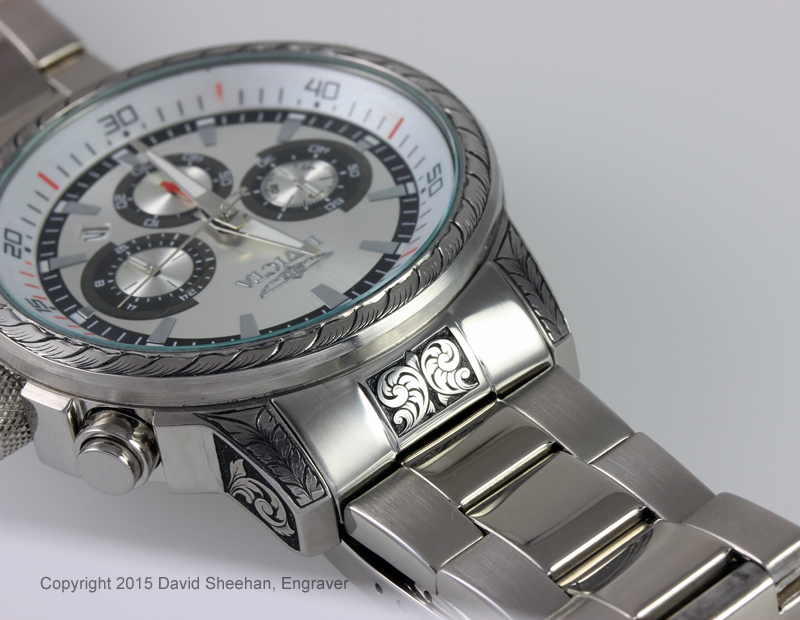 Makes an interesting combination I think!